White papers represent a great way to read in depth about some of the issues facing call centres. Most organisations record customer calls and capture channel interactions for quality assurance purposes. But they ignore how this insight can provide better customer and agent experiences. 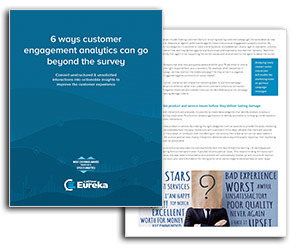 This study looks at converting interactions into actionable insights to improve the customer experience. In this paper, we demonstrate how advances in speech and language processing coupled with AI-driven speech analytics can provide customer-engagement insights. As a result, you will be able to implement recommendations to improve customer satisfaction, and to transform your organisation. Introducing a multichannel call centre platform is a major undertaking. This white paper highlights the attributes the platform requires to support both agent training needs and the company objectives for continuous improvement. With automation and artificial intelligence (AI), customer service operations become more efficient. This report looks at ways to fundamentally transform operations with AI, major shifts in agent workforce and the evolution of super-agents and how to improve your bottom line. Unexpected downtime is a potential problem for any contact centre, whether it’s a natural disaster, localised power outage, or system failure. This eBook explores the real cost of downtime and its impact across the business, employee and customer experience. Network Homes introduced a suite of Bright products to benchmark its performance metrics, monitor customer satisfaction and to understand employees. This case study shows how insights led to exceeded CSAT targets, improvements in agent utilisation and increased employee engagement. 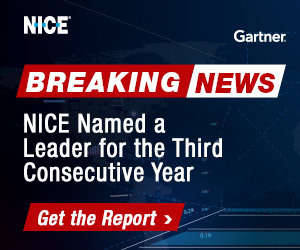 NICE have been named as a Leader in the Magic Quadrant for Workforce Engagement Management. This report points to several key strengths that warrant NICE’s recognition as a Leader. Millennial workers stay with an organisation just over a year on average. This white paper looks at the reasons why and how you can offer better flexibility, increase long-term engagement and satisfaction to ultimately reduce turnover. White Paper: Don’t You Know Who I Am? Nearly every contact centre would like a first-time caller resolution. Rather than introducing further complications with multimedia call centres, this paper tackles how transparency should make engagement easier and quicker from everyone’s perspective. Customer Satisfaction remains the king of contact centre metrics. In this new white paper, Puzzel outlines five positive strategies to drive efficient and effective customer service in contact centres. British businesses are driving customers away for completely avoidable reasons. And it’s costing them billions! This study looks at the essential practices every call centre should have in place to listen and engage appropriately to create a better customer experience. This guide provides a detailed overview of how Nuance is working with leading enterprises to deploy the Nina virtual assistant, the benefits of doing so, and how in a few weeks you could create your new ‘Employee of the Year’. Customers now routinely use digital channels to complete tasks that once kept phone agents busy In this guide, we highlight eight real-world implementations that are helping their organisations streamline operations, improve agent productivity, increase customer engagement and boost sales revenue.